Heyyyy! I know you guys! Iâ€™ve seen you here before. You hang around sometimes and listen to me yammer on about my family. You guys are AWESOME! Howâ€™s it going? Oh. Some of you donâ€™t know who the heck I am and what Iâ€™m doing here? Well, let me edify you. Iâ€™m Tennyson Ravelo, the fourth generation heir to the magnificent Ravelo Legacy, which sounds a bit cooler than it really is, because what it boils down to is that: 1) Iâ€™m stuck in this house forever (except for a stint at college, which is going to ROCK), and 2) I have to abide by certain rules to â€œpreserve the dignity of my familyâ€ and all that, and as a teenager going through the proverbial â€œrebellious stageâ€, the last thing I want to do is check my behavior against a list of stupid rules every five seconds. So. Whatâ€™s been happening since our last chat? Well. Better get comfy, because a lot of things have changed. First, since I got Longfellow, I had to learn about dogs, which I didnâ€™t mind at all, because I think dogs are awesomely cool. Of course, they can also be frustrating as heck. When I was teaching Longfellow to obey my commands, sometimes heâ€™d just sit there and give me this dopey look. I felt like an uninteresting piece of shrubbery or something. And I had the job of cleaning out his pet bed, which was sometimes gross. And of course, more water ended up outside of the tub than in it. That’s how it usually goes, right? Even Smelly Melly, I mean â€“ my dear sister â€“ helped out with the dog duties. I donâ€™t think she liked it much. But sheâ€™s not really a dog person. Thatâ€™s why mom finally broke down and got her a kitten. She named him Lancelot, since sheâ€™s into King Arthur and all that. Heâ€™s pretty cuteâ€¦for a kitten. Actually, Melly got him just in time, because he helped her through some sad days. The first sad thing that happened was my grandma Tristen leaving us for that great big luau in the sky. She looked like she couldnâ€™t wait to get her hands on that tiki drink. I suppose a lifetime spent teaching college kids, building skills, and having to compete with a pet brick for my grandpaâ€™s attention probably wore her down a bit. Speaking of Grandpa, he was pretty torn up about it. We all were. My dad was close to Grandma, even though she was only his mother-in-law, so he was devastated. To deal with his grief, he…adopted a dog! I guess he figured, â€œTenny has a dog, Melly has a catâ€¦I want a pet, too!â€ Not that I minded. Her name is Abbey, and the first thing she did when she showed up was dig a hole in the yard. Dad wasnâ€™t too happy about that, but he forgave her pretty quickly. Longfellow and Abbey did this whole sniffing routine when they met. They must have liked each other quite a bit, because when I went to clean the new doghouse one day, the door was shut! Whaaat? I didnâ€™t even know it had a door! There seemed to be a bit of â€“ erm â€“ activity going on in there, so I quietly made my way back into the house. You know what they say: â€œIf the doghouse is aâ€™ rockinâ€™, donâ€™t come aâ€™ knockinâ€™!â€ I wasnâ€™t about to knock anything. They can pet wolves?!??! Wow I didn’t know that! Aww Violet is so cute with Tenny. Aww bye Tristen and Trent, enjoy the tiki drinks! I â™¥ Tennyson. Math nerds rule! Eeee, spooky! I love it! :D And your shots are awesome, in particular with the wolf sequence. You’re doing that ‘stills from a movie’ feel. A+! Yay! A Ravelo update! Wow, how’d you do the school scene? Violet is very pretty is she a townie? The wolf has glowing eyes! Sounds like Tennyson is going to be a werewolf! Hee hee :) Loved the update! *wipes eyes* That was hilarious. Your pictures were great! “a long sit-and-read”? Heh, exactly what my dad does with the phonebook! Neat pictures, makes me want Pets right now instead of waiting until my birthday, or Christmas, depending on which parent is buying it! Awww, I’m gonna miss Tristen and Trent! I hope that grimmy treats them right, cuz if he don’t Mrs. Crumplebottom might be paying him a visit! Correct me if I’m wrong, but I’m pretty sure that Melly’s hair is from xm-sims. And I love this update, especially because I won’t be getting Pets anywhere soon. ((cue dramatic chords)) The Leader of the Pack! Step away, Tennyson, step away! You’ll find out really quick that there are things other than veggies and liquor that’ll ‘put hair on your chest’. Do I foresee howling in Tennyson’s future? The sad thing about werewolves is the horrible change it does to a sim’s personality… bah! Completely awful to endure in gameplay. Great update, Jen! I do have to warn you though, the ‘townie’ that Tennyson is smitten with… turns into, well… nothing like what she appears to be as a teen. It’s kinda scary. Darn Maxis and the funky default townie DNA! Tennyson is such a cutie! And violet is pretty too! If they get married they’ll have such cute blond babies! Two deaths was pretty sad but it was a great update. All the dogs and cats make me want the pets expansion even more! I didn’t know that sims could pet wolves?!?!? I really like how you decorate your houses, they seem so realistic look really good, do you have a little interior design in your blood? ANyway, great update! Uh oh Tenny!!! That’s not just any wolf!!! So far, I’ve been trying like crazy to get a werewolf, but no luck! My sims just befriend the wolf with glowy eyes…and then nothing happens!! Maybe I just don’t understand how it works? Anyhoo, it was so nice to catch up with the Ravelos! Aaaaah that update was so cute! Violet is Arianna from my legacy! I loved how you put it in a school setting, you are so creative and thorough with your stories. It’s so cute that he’s a math geek! They make a really cute couple….I have officially overused the word cute. WOW how do you handle all those pets? Their family is sooo cute. Oh no, there I go again with that word. I love his little sister. I hope Tennyson isn’t going to become a werewolf…or is that the reason they’re going to have to move? You’ve really left us at a cliffhanger! Can’t wait to hear more! yes. glowing eyes would be the first thing id notice as well. laugh out loud. lovely update jen. WOAH!!! THAT IS SOOOOO COOL!!!! PLEASE PLEASE PLEASE DO MORE!!!! Yes! a Ravelo update! I just got pets myself and the animals are so much fun to make!Keep the GREAT updates comi’n!!! Hey guys!!!! great update Jen, honestly you are the best. Jade I keep cheking your website just cause I luv it so much! Also I agree with Phil, because I luv the Ravelos and would like to hear wat happens to Tenny and how did you create Snodgrass academie? (kool name!) Wonderful as usual Jen! Wow. Tennyson is the best looking math Geek I’ve ever seen! I think Violet is gorgeous but like Mao said, Sim genetics can be cruel. One of my Sims married Meadow Thayer who’s given me two little black-haired babies so far for my G3. It must be hard to manage all those pets along with your sims. They’re all so adorable! You even managed to make the wolf look endearing. Hey, Jen – Have you done a tour of the Ravelo house yet, like you did with Shanley Manor? I think I remember seeing the outside of it, but I couldn’t remember seeing pictures of the layout. Yeah Jen!!! I agree with Willow, can you please do a tour of the Ravelos home? Hey guys! Thanks to everyone for all of the feedback. And for the concern about Violet. Aside from having questionable genetics, she’s also a Romance Sim, so whether she ends up being Tenny’s future wife or just a high school sweetheart remains to be seen…And yes, I’ve been reading up on Sim werewolves. Mwahah. Kay – Ilse is right — Melly’s hair is from XM Sims. It’s one of my favorite hairstyles — so pretty, and nice movement (there is a slight gap at the neck on certain Sims, but that can be masked by careful use of camera angles). Abby – Snodgrass Academy is a modified version of SnaggleFrass Manor by MaxoidMoonBelly on the Exchange. To create the classroom, I used mostly Maxis items and the handy-dandy chalkboard by Pixielusion at SpiffySims (which is a recolor of the huge 4-tile Maxis painting from OFB). Sim a Little Dream a Lot also has nice chalkboards and bulletin boards, as well as a world map (found under “Paintings” in the Sims 2 section). Finally, if you’re looking for more school stuff, there’s this thread at the Sims 2 Community which has a list of links. To get everyone in the classroom, I had to cheat a bit. The Insimenator came in very handy for that! I can give you more details if you’re curious. Willow – I haven’t done a tour of the Ravelo house yet. I could certainly do one if you guys are interested! I’m also planning to offer a Maxis-only version of it at some point, so maybe it could coincide with that. I would LOVE a tour of the Ravelo house!! I’m really interested in how everyone lays out their houses for their legacy families. Sometimes the prettiest houses are a real pain to play in. If you’re stuck with one house for generations you should really, REALLY like it. The Ravelo’s house just looks so awesome in all of your pictures. You have a real gift for making great houses. Please note – since earlier I may have offended my Sims or someone elses – Meadow’s little black-haired babies are really quite gorgeous. I was just kind of hoping for blondes at the time. Meadow does have some funky eyelids, though, that look a little bizarre with certain eye makeup. Ravelos house tour? Woohoo! I love seeing your houses, Jen. Good thinking, Willow! Sorry Tristen! I called you Trista. My apologies! Very good story. I loved the pets & the wolf. That’s all I can say because it was near perfect. Maybe next time you could have a story with a meaningful ending (heart warming), but overall GREAT! Great story! Fascination with wolves eh? ;) This will be interesting. I also love the family dogs!! I cant wait to see what their pups look like. I bet they will be gorgeous. I just found out bout this site 2day and it’s sooo Awsome!!!!!!! Okay,anyway 3 Qs here we go…. 1: What on earth do u hav 2 do 2 see a Wolf?!?!?!?! 2: Where did u get the scool scene from?!?!?!?! 3: Why is Mr.Grimmy wearing flowers I thought he was posed to be.well…u know GrIm?!?!?!?! See Ya wouldn’t wanna be Ya!!! Lucy healer has left the website!!!!!!!! I just discovered your site through a link at Jade’s tutorial. I realy enjoyed this story and cant wait to see what happens next. Now I will have to go read your other entries. Your pictures are awesome also. I really would love to learn how to blog myself. 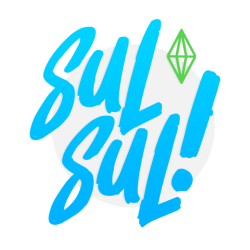 I have always enjoyed developing my sims and writing about them but I can not find a blog site that I dont get confused on.